I was leaning against the fence, wishing for a rapid breeze to hit, when all of a sudden Reynolds comes flying out of the left hander corner before this jump, and hucks it! It was surprising to me, because I kept seeing all these little guys in his class roll, after roll, after roll. 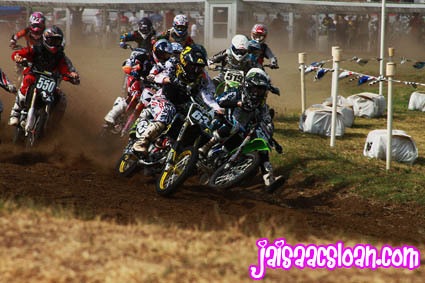 After starting mid-pack, Jett kept the throttle turned and pushed for first…which he got! Fast little dude! Austin White's method to not over heating! 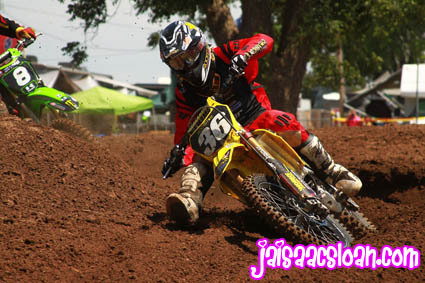 Covington out front during his 250 Mod Intermediate division! 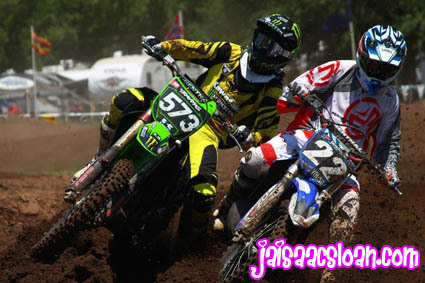 Oldenburg brothers are on the flipppinnn' gas this week! Top 3's all day! 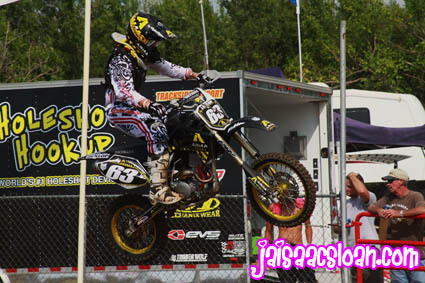 Jacob Hayes getting shoved over the edge during his 250 Mod Pro moto! Whoo, gnarly! But, Hayes didn't let that incident ruin his day. 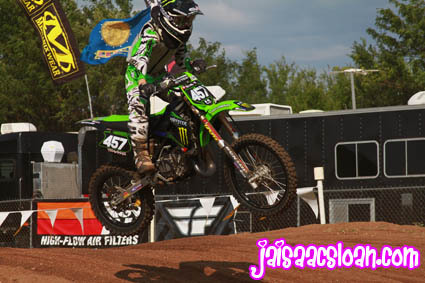 Jacob took the win in his 450 Mod Pro! 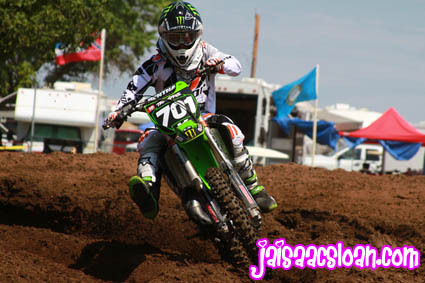 0225- Currier has been riding very consistent all day, placing top 3 in both pro motos. 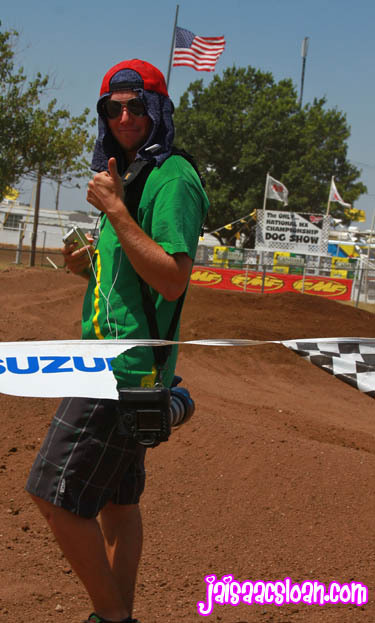 0248- Justin Bogle is untouchable, unstoppable, whatever you want to call it! 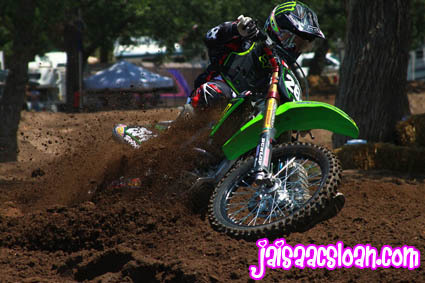 JB grabbed another win in the 250 Mod Pro. 0259- Matty B had a perfect race; taking the lead early on, and providing a great distance between himself and second place! 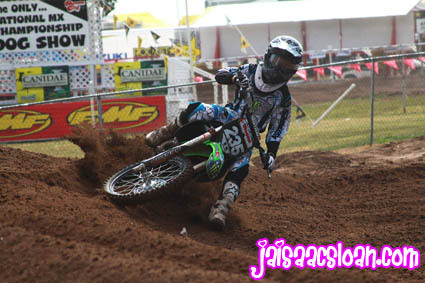 0260- Maybe it's just me, but I think Nick Gaines has had some successful motos so far; both on big bikes and superminis! 0268- Bonding time with the dad! Courtney Duncan is incredible! Fastest chick I've ever seen compete with the boys! Duncan came all the way from New Zealand to put some whoopin' on her competition! She finished either 3rd or 4th in the 85 Mod. 14-16 class, and, with a million seconds to spare, finished 1st in her girls class! So awesome! 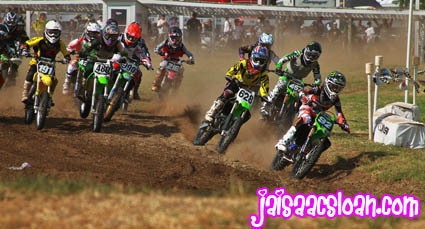 The start of the Supermini through 16 divison 1 moto! 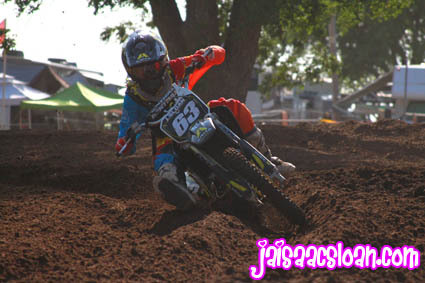 Chase Bell rode awesome today. 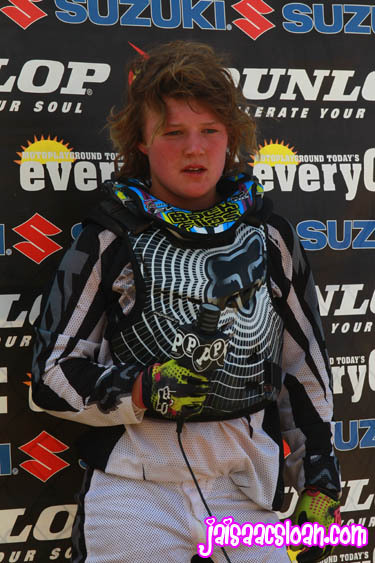 Bell placed 1st in his 85 Mod 12-13 moto , and 2nd in the Supermini through 16 division 1 moto behind Webb! 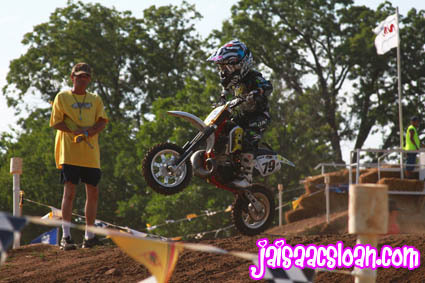 AC with the holeshot and the win in his Supermini through 16 division 2 moto! 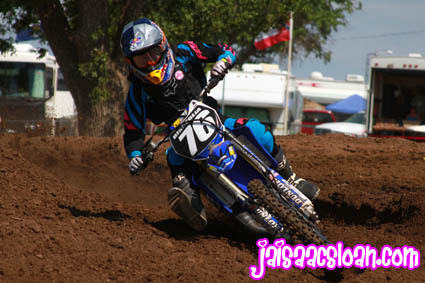 With Adam only racing one class here at Ponca, he was ready to charge and make the week worth it! 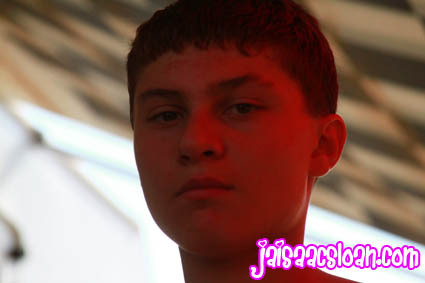 Sanayei had an unfortunate problem with his bike during his division of the Supermini through 16 class. As he was running in second place behind Cianciarulo, right as the white flag flown his way, Darian was forced to pull aside. 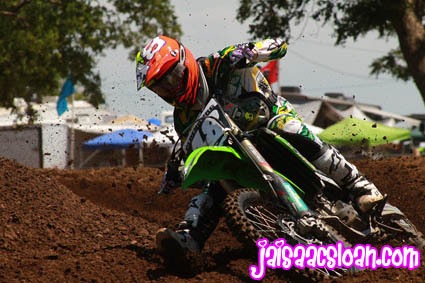 Earlier on, Darian did have a decent race; finishing second behind Webb in his 85 Mod 14-16 class!